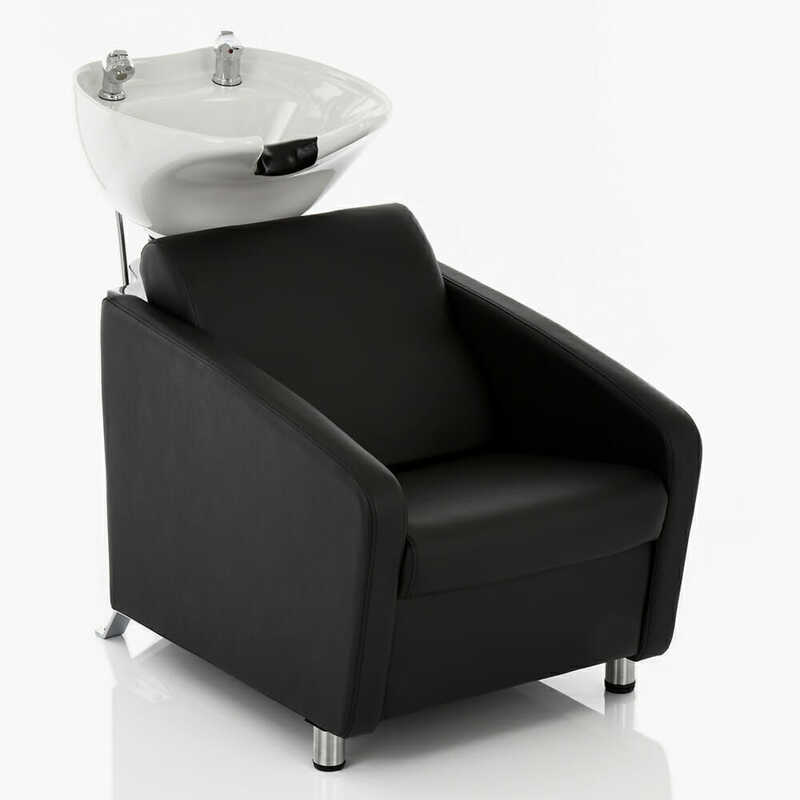 The Madrid is a modern style washpoint finished in smooth black upholstery and a comfortable cushioned seat. 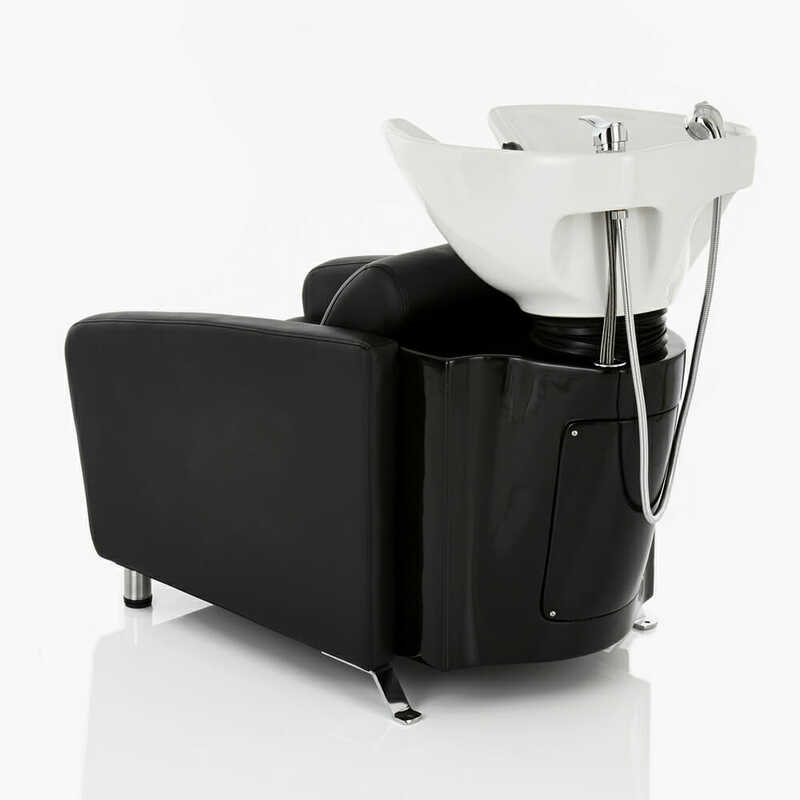 It features a fully tilting white basin, black base cabinet and chrome mixer tap with hose. 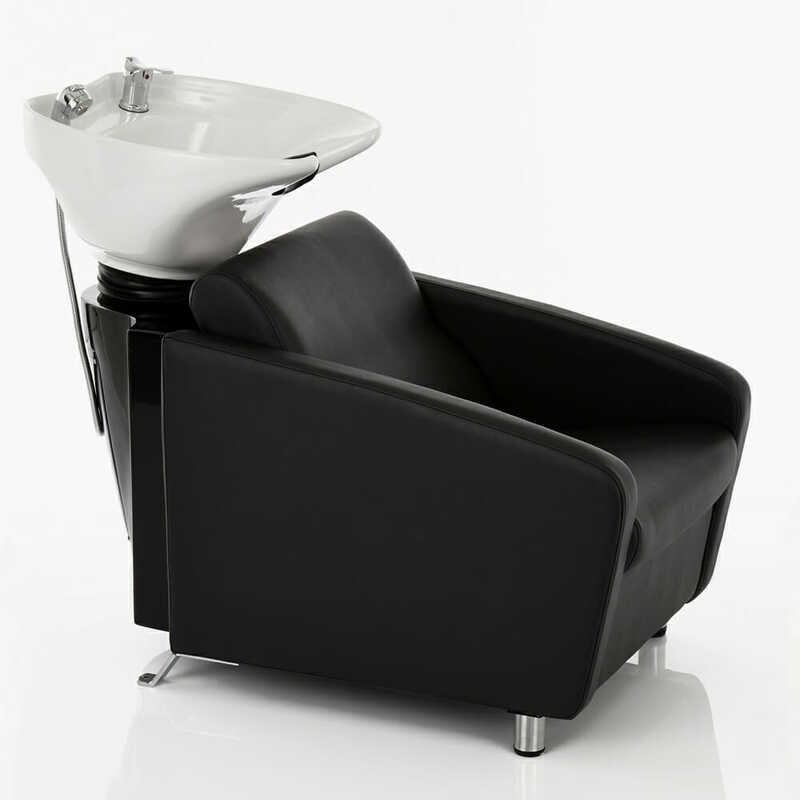 The Prefect addition to any salon. Dimensions: Width 64 cm, Depth 120 cm, Seat height 45 cm, Basin height 93cm. Complete the set with the Direct Salon Furniture Madrid Hydraulic Styling Chair.